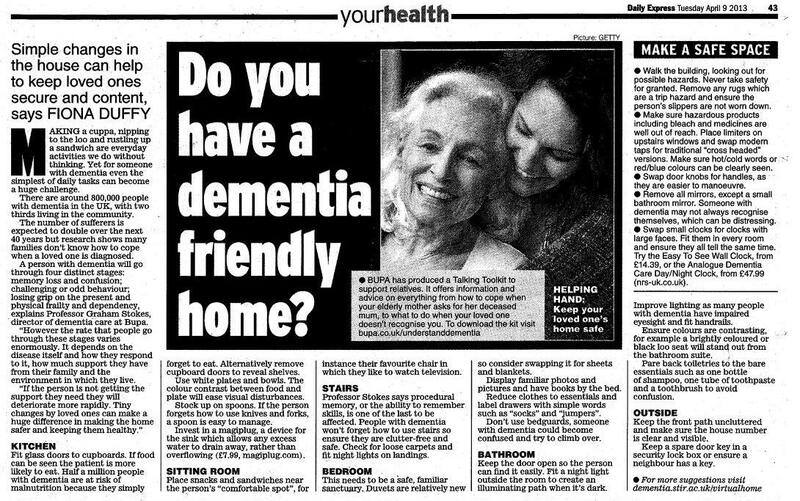 Home › News › Do You Have Dementia Friendly Home? We came across this interesting article printed in the Express earlier in April. We are very concerned that the number of dementia sufferers is growing and that family and friends do not know how best to deal with it. Our approach is to carry out a careful risk assessment and advise on what needs to be done. In addition to the really helpful advice shown below, dementia sufferers are at a real risk of falling and injuring their face as the automatic reflex to protect themselves is impaired, so this is something to watch out for.